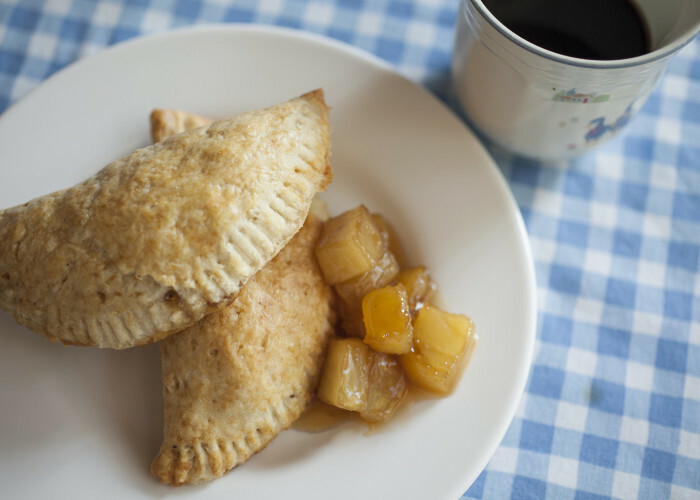 Try these tangy and crunchy homemade pineapple empanadas for a sweet treat. It's an easy family recipe that holds a special place in my heart. Some of the best conversations happen in the kitchen, wouldn't you agree? 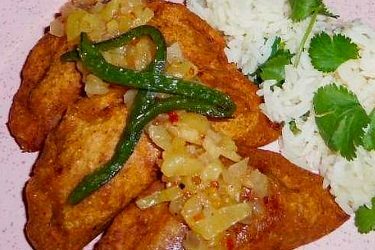 I hold this recipe in a special place in my heart because my Tia Minerva walked me through it while she told me all about my family, mainly my grandparents' love story. It was amazing! I learned so much about my family the summer I spent in Mexico in 2011. 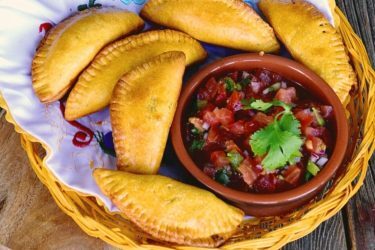 These empanadas de piña are made with homemade pineapple filling and their sweet tarty taste is absolutely delicious. Combine the anise seeds, cinnamon stick, and ½ cup of water. Steep in the microwave for 1½ minutes, strain to keep liquid, and set aside. Melt the shortening in a microwave-safe bowl. Add the liquid you just strained and gently stir. In another bowl, combine the dry ingredients (flour, salt, baking powder, sugar) and gradually add this flour mixture to the wet ingredients. 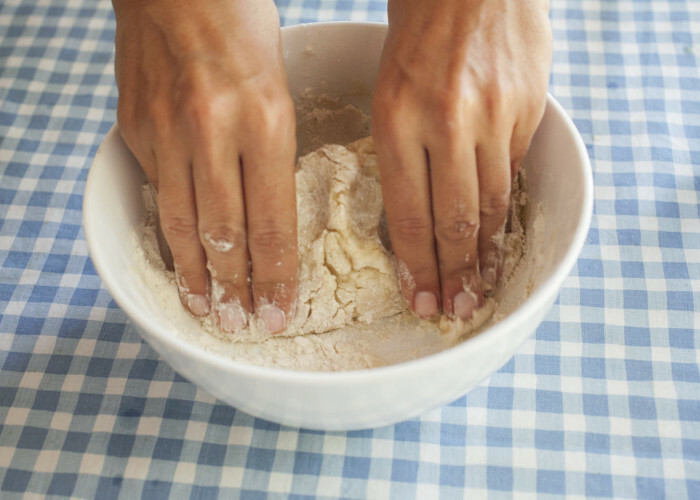 If the dough is sticky, add a little bit more flour. Cover the dough with plastic wrap and let it rest. 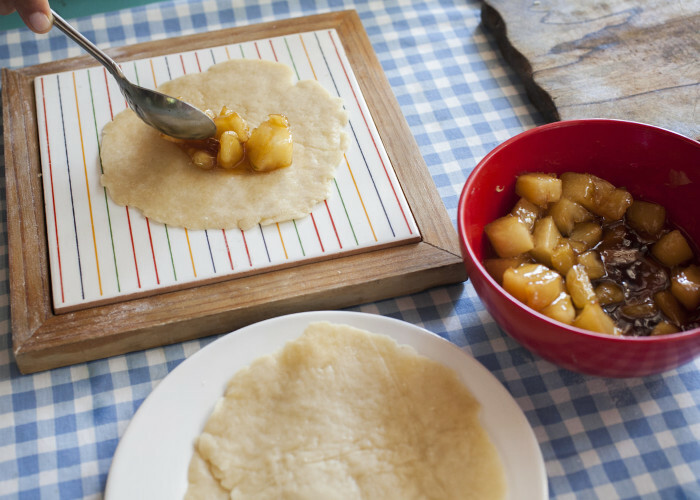 While the dough is resting, make your pineapple filling. In a large nonstick skillet, add the fresh pineapple and heat to medium heat. Mix the brown sugar with 2 tablespoons lemon juice and pour over the pineapple. Lower the heat and cook for 20 to 25 minutes, until most of the liquid is absorbed. In a small bowl, mix 1 tablespoon cornstarch with ¼ cup of cold water and whisk, making sure there are no lumps. Add this slurry to the cooking pineapple, stir well and often so it does not burn. Cook for another 5 to 7 minutes. Let the filling cool. When the filling is cool and the dough has rested, form 20 to 24 1½-inch dough balls and set aside. Preheat the oven to 375 ºF. 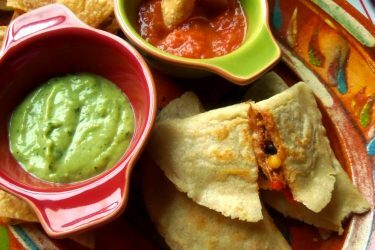 Take one dough ball at a time and press in tortilla press lined with wax paper (or a flat surface ) to make a flat circular shaped dough. Fill with 1½ to 2 tablespoons of filling. Fold the dough over the filling and seal the empanada. Using a fork, or your fingers, press edges together to seal. 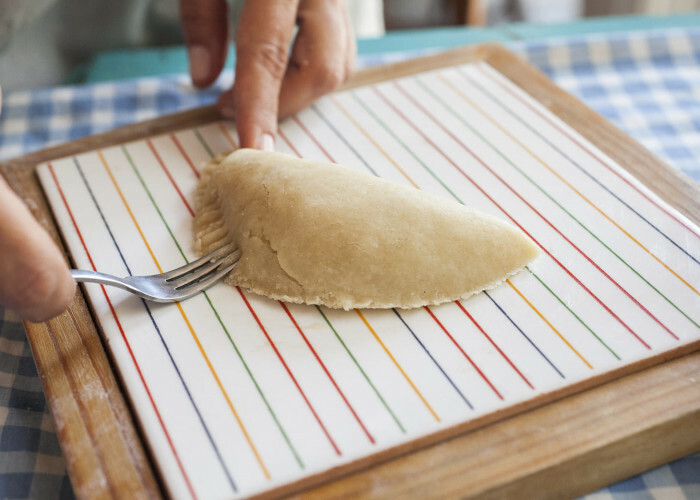 Transfer empanadas to a parchment-lined baking sheet and bake for 30 minutes or until golden brown. 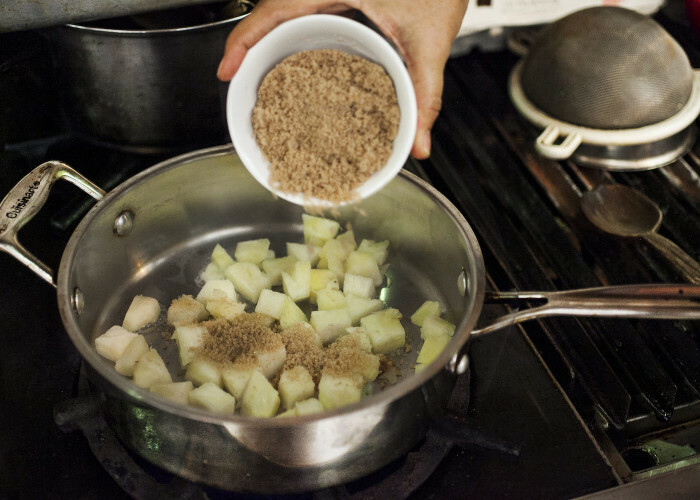 In a small bowl, combine 1 cup sugar with 2 tablespoons of ground cinnamon. While still slightly warm, roll empanadas in a cinnamon/sugar mixture to cover. Once cooked, I like turn on the broiler in the oven to brown the tops of the empanadas. I tweaked the recipe a little bit and added a some fresh lemon juice to the pineapple filling (about 1 teaspoon) for a little extra tang.